The Municipal Market of Curitiba is promoting from June 27th – 29th of 2010, the Cachaça Paranaense Gastronomical Festival 2010. At the festival, visitors will get the chance to learn how to make special cocktails and dishes made with cachaça, a very popular and typical brazilian drink. Visitors will also try the cachaça degustation of the best cachaças produced in the Brazilian state of Paraná and other products made of sugar cane, watch lectures with experts on the history of cachaça, news and trends. 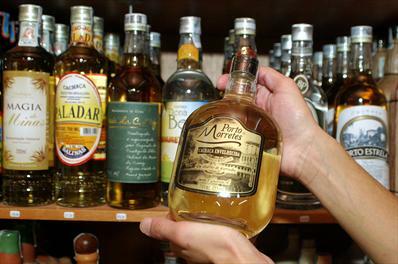 The “Parana Cachaças Award 2010” is a award promoted by the Handcrafted Cachaca producers of Parana Association (Aprocapar) and will reward the best cachaça of the festival. The Municipal Supply Department, the Municipal Market of Curitiba traders Association, the Federal University of Parana and Sebrae-PR are coordinating the festival. The event will be held at the Organic Sector of the Curitiba Municipal Market and it is a great place to visit if you are in Cuirtiba during the event. Click here to find out more information about the Cachaça Gastronomical Festival 2010!